Entertainment TV Channel / Guadeloupe 4 webtv - G4 webtv. Studio Pierin, Impasse Augustin Fresnel ZI Jarry, Baie Mahault 97122, Guadeloupe, 0590262624, g4webtv@guadeloupe4-tv.com. 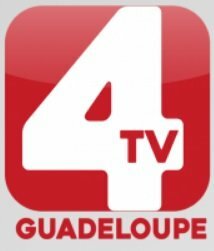 Guadeloupe 4 TV is a local television station that broadcasts music and entertainment programs. The headquarters is located in Baie-Mahault, Guadeloupe. Live streaming can be viewed online.